Harold ImportsÕ HaleyÕs Corker does it all. 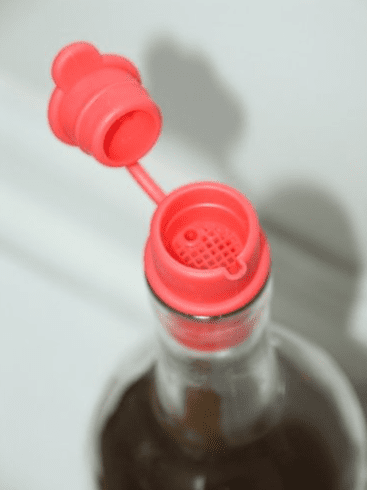 Snap it on to a wine bottle after youÕve corked the bottle and itÕll serve as an aerator, pourer, filter and when you snap its lid closed, consider your bottle re-corked. Use it in the kitchen with oil and vinegar. With HaleyÕs Corker youÕll have convenience and confidence that the contents, whatever they may be, will stay fresh and be ready, with a simple and quick snap of the lid. Fits all domestic and imported 750 ml and 1-1/2 liter bottles.